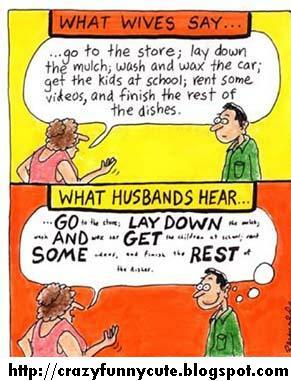 And they say that women talk too much. Obviously, you can not explain, even simple things, to man in tree words. But, do not waste your time, man hear what they want to hear. It has always been that way and it will stay that way so save your energy ladies.